Who doesn’t love a Sony blockbuster? Lots of people, actually. Hoy Más Fuerte (Del/Sony), the latest album from norteño’s biggest star Gerardo Ortiz, is too long — 21 songs plus five bonus versions — and it comes up shorter on memorable tunes than Ortiz’s 2013 breakthrough Archivos de Mi Vida. And yet… you throw enough money at talented people and they’re bound to have at least one good idea. The best investments here were the session work of accordionist Marito Aguilar, who brings something amazing to every song he plays, and the horn charts, which are consistently better than they had to be. (See the giddy chromatic hilarity of the banda’s take on “El Amigo”.) If you could abide the first Pirates of the Caribbean movie thanks to Johnny Depp’s acting and some well-staged action sequences, you might make it through this album. That Ortiz is even thinking in terms of norteño blockbusters might be his greatest legacy. 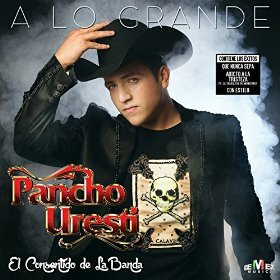 Pancho Uresti, the unassuming singer for Banda Tierra Sagrada, wiled his way onto two of 2015’s most iconic singles. “Adicto a la Tristeza” (Remex) is a camp masterpiece by the prolific songwriter Erika Vidrio, in which Uresti wallows with Trakalosa’s Edwin Luna in a big old vat of tears and liquor. 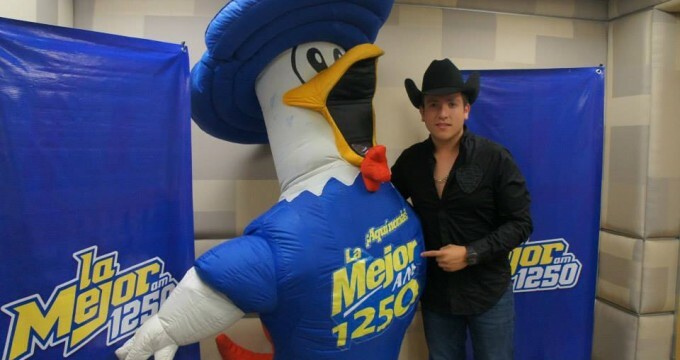 Collecting himself for “Debajo del Sombrero”, Uresti joins Leandro Ríos to petition an unsympathetic father and win the hand of his hija, in the process singing a string of “-ero” rhymes that’ll reverberate through Spanish 101 classrooms for years to come. Remex has compiled both songs along with some other Uresti, both solo and duets, onto A Lo Grande, a decent album that’s not as spectacular as I’d unreasonably hoped. Who Plays on the New Gerardo Ortiz Album? The mystery is solved! Allmusic appears to have acquired a physical copy of Hoy Mas Fuerte the same time NorteñoBlog did, and we’ve learned that Ortiz drew his small band from the usual stable of Del Records session pros: Pablo Molina on tuba, Aaron Gonzalez on bass, Lorenzo Fraire Reyes on bajo sexto, and Luis Navarro on drums. But Allmusic did omit some crucial players, notably the guy who most owns the sound of Fuerte: accordionist Marito Aguilar. Fuerte isn’t necessarily VALE LA PENA, but it’s worth hearing at least once for Aguilar, whose fingers are all over the place and constantly coming up with new ideas. He’s played with Ortiz on previous albums; he’s played on good albums by Regulo Caro and Adriel Favela; and he’s been one of the few reasons to pay any attention to Luis Coronel. If you get excited by fly-on-the-recording-studio-wall videos and scenes of professional musicians overdubbing and “punching in,” you are to be pitied above all others you should totally watch this video of a session for Ortiz’s 2012 album, El Primer Ministro.